Air leakage is the largest single waste of energy in most factories and costs you money. Leakage rates up to 50% of site consumption are common and incorrect pressure control combined with leakage can account for 70% of your total energy consumption. Our vehicles are fully stocked with all the necessary pneumatic fittings & equipment to repair 95% of all compressed air leaks detected at first pass. This means that leak repairs could be undertaken on a “Find & Fix” basis with a documented report for customers who prefer an immediate result. Alternatively, we can undertake a more traditional approach to leak detection supplying a full report and effecting anysubsequent repairs. 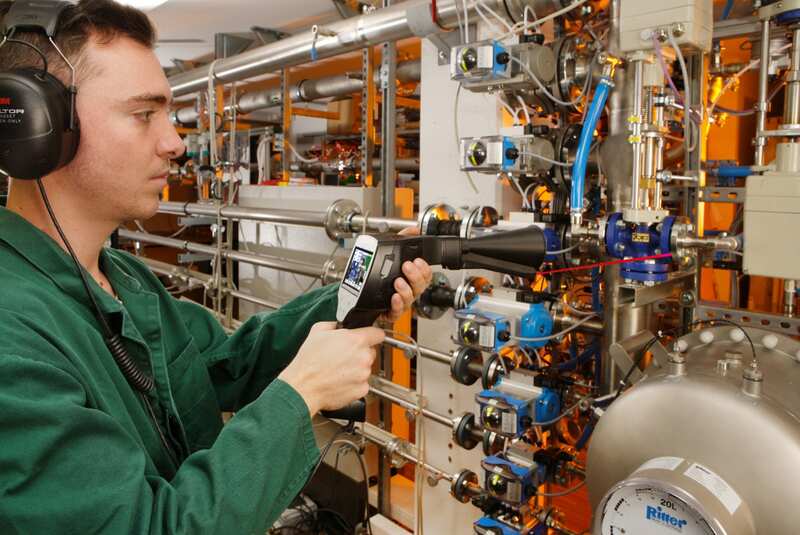 Air Energy Management can provide a leak detection service, quantify the leakage costs and provide a solution to help prevent the reoccurrence of air leaks.